Fibromyalgia is like a house-guest in my body, an uninvited visitor who is sometimes polite and sometimes messy or rowdy or rude. 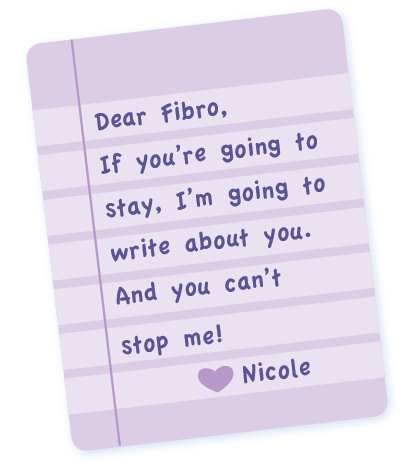 I decided that if Fibro is going to stay, it might be helpful for me to have a way to communicate some of the lessons and frustrations of the extended visit. So I decided to write some notes or letters — in any format, any length, whether coherent or not — to take the time to express and decompress. As a companion to the letters, I’ve begun writing some short articles or “musings” about living with Fibro — so far, these are a short series called “Inside the Kaleidoscope” which I’ll probably expand upon over time . . . Thank you for visiting, and please feel free to comment on or share anything on this blog.